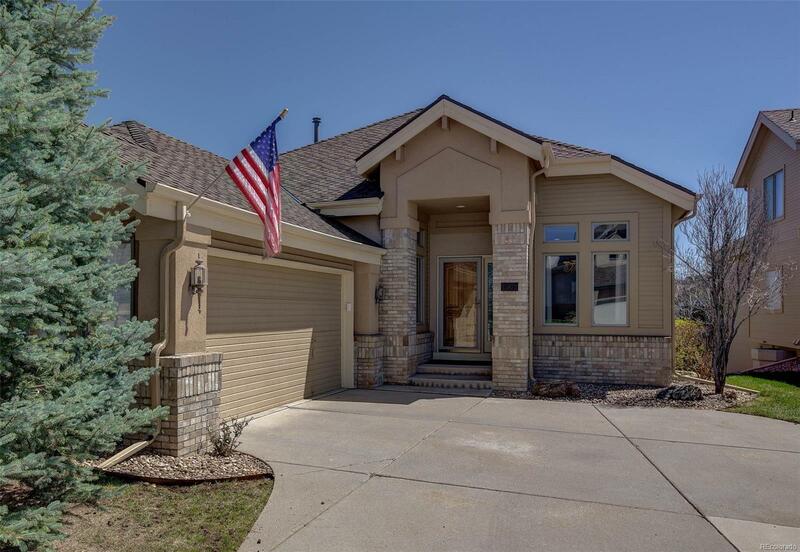 The Perfect Ranch Home with walkout in Willow Springs Dakotah Pointe, an Exclusive Community situated on the Red Rocks Golf Course. This home has a wonderful open floor plan with natural light and a finished walk out basement. Spacious main floor master suite offers vaulted ceilings, 5-pc bath with jetted soaker tub. Main floor also includes office, dining room and 2nd bed/bath. The finished basement has an over sized bedroom, Â¾ bath, open Rec/Entertainment room with fireplace, wet bar/kitchenette, office or workout studio, and workshop. Home has been impeccably maintained by its owners. Enjoy the private Willow Springs trail system just steps away; close to Morrison with easy access to Denver & the mountains. HOA includes maintenance of grounds & snow removal. A rare opportunity to live in a remarkable home in the heart of Willow Springs!